We are Lightning Damage Claim Experts! Living in Florida, it is no surprise that there are so many lightning damage claims. 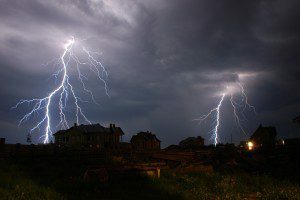 A Lightning Damage Claim can be tricky to adjust (especially for an inexperienced adjuster) and most likely what you can see is not the true extent of the damages. Electricity has a funny way of breaking stuff! Did you know that the energy created from one lightning strike could light a 100 watt light bulb for more than 3 months without turning it off, find a way to capture that energy and you may be the next billionaire! Many of our ‘normal’ thunder and lightning storms here in Florida can produce intense winds with rain which can and does often cause damage resulting from water entering the home through windows and roofs. The extent of the damage and what is needed to properly restore your property back to its pre-loss condition is often times much greater than what it appears. 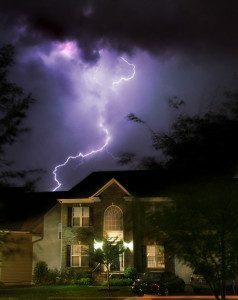 In the event you suspect that you may have storm or lightning damage to your home give us a call and we will send one of our very experienced Florida Public Adjusters to evaluate your situation and recommend the best course of action to ensure that you are fully and properly compensated for your damages so that are able to properly repair your property. Free Lightning Damage Claim Consultation! Your insurance company employs an adjuster to work on its behalf. These adjusters are paid and trained by your insurance company, do they have your best interest in mind? Insurance companies do not make any money paying claims, actually, the claims division is most likely their largest expense and therefore the easiest place for them to increase their bottom line. Our job at Claim Concepts it to help people like you. Our passion and expertise is to put an accurate dollar value on your loss and relentlessly fight to recover it from your insurance company. We don’t work for the insurance company, we work directly for you with ONLY your interests in mind…let us fight for you! Don’t settle for less than you rightfully deserve. We have a Florida Public Adjuster ready to jump in and help with your lightning or other storm related insurance claim. Let us fight for you!